If users are setting up multiple conversion codes be sure to accurately and clearly identify each conversion in the conversion name. Within the users Shopify dashboard the conversion code will need to be embedded in the "Additional Content & Scripts box. Users can access the "Additional Content & Scripts box through the Shopify dashboard "Settings" and "Checkout" pages. After embedding the ClickMeter conversion code in the "Additional Content & Scripts box" users can now create tracking links. You need now to create a new tracking link and be sure that the conversion you previously created is associated to this specific link. Once the ClickMeter tracking link(s) has been created, with the appropriate conversion code associated, users can distribute their links to start recording traffic and conversions. The conversion code need to be created and embedded in your Shopify e-commerce website only once, while, in the tracking link creation process it needs to be associated every time. The association can be done just selecting the appropriate conversion code from the dropdown menu every time you create a new tracking link. 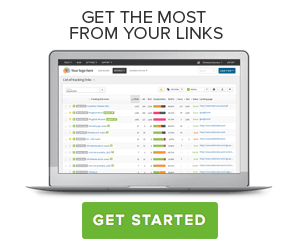 Create a new tracking link for every promo channel you need to monitor. Eg a new tracking link for your FB promotion, a new tracking link for your mailing, etc... the more specific you are in segmenting your sources the more detailed data you will get. If you have other conversion codes in ClickMeter we suggest to create a specific code to track conversions in Shopify and not to use a conversion code you created for another website. 1. Visitor clicks the tracking link with the ClickMeter conversion code associated to it. ​2. Visitor completes call to action and lands on the Shopify thank you/confirmation page which contains ClickMeter conversion code (which will fire when page loaded). Can I set a dynamic value for my conversions?